A great and versatile womens slip-on walking shoe from Skechers. Perfect for casual days out or for those who like longer walks, the womens Evolution Ultra Reach has a soft woven mesh fabric upper and an Air Cooled Goga Mat™ insole system for comfort. 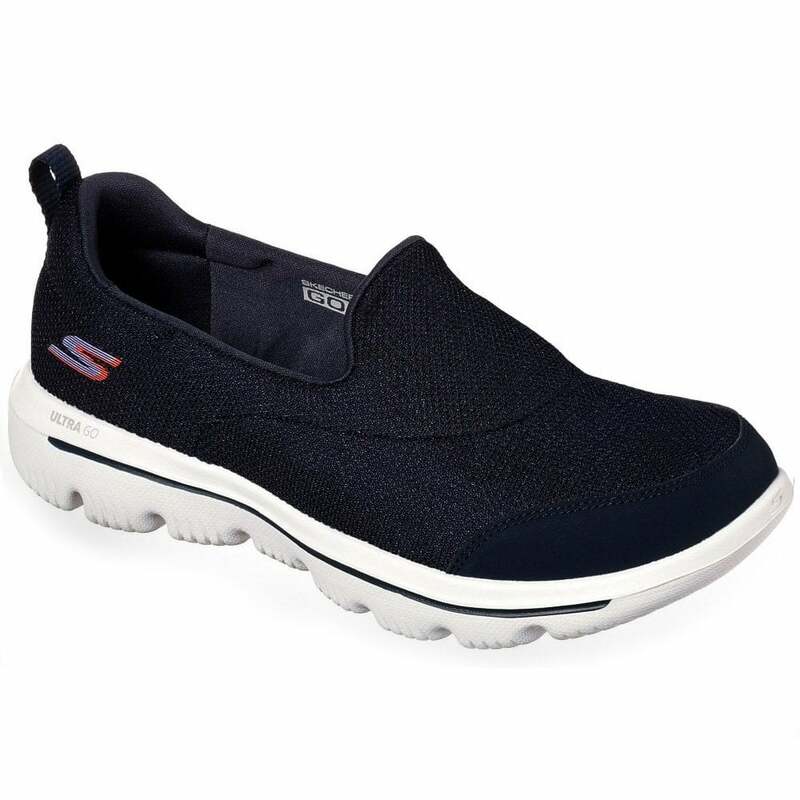 The Skechers Go Walk shoes are lightweight and responsive with ULTRA GO™ cushioning. Beautifully lightweight with a flawless meld of style and functionality, the Skechers Go Walk Evolution Ultra Reach Womens Slip-On Shoes are just the thing for slipping into your holiday suitcase - pack your pair today!